If you observe the local ladies, you will begin to see a certain style. A very common thread of affordable, quirky, fun, casual wear that is common in the capital. You definitely won’t find it in the luxury malls. 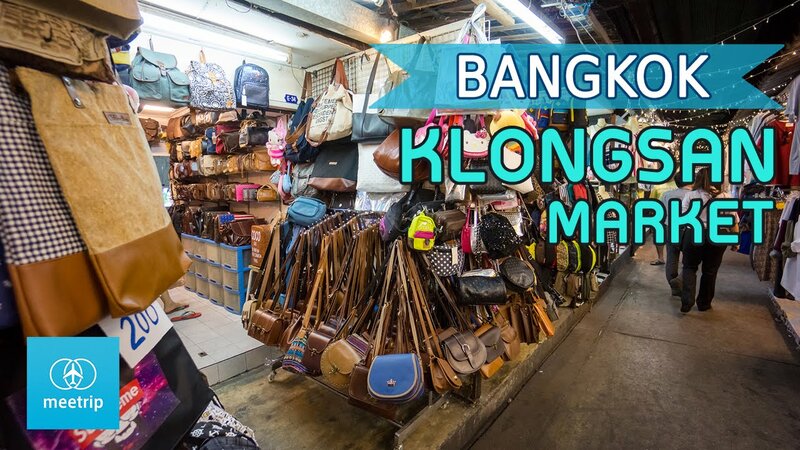 But if you head to Khlong San, you will have a limitless choice in that kind of fashion. Khlong San Market is hyper local. It doesn’t cater to tourists but won’t mind if they swing by. It is run by locals for locals and that makes for a very authentic experience. Rows and rows of tiny boutiques run from the river’s edge all the way to the main road. Make sure you bargain hard for pieces that catch your eye. You want to get your money’s worth in getting decked out for the community runway. Once you are done, head for the food market section. Catch the locals picking up groceries on their way home or sitting down at some street food stalls. There are a few standout dishes here including a well known bua loy kai kem (rice flour balls with salted egg in coconut milk).